It took 48 years for someone to get this futuristic concept up to spec. The Ferrari 512S Modulo was never meant to be driven. But someone forgot to tell that to James Glickenhaus. So he and his team have been working hard at getting it out on the road, which they've now done for the first time. The Modulo was a highly futuristic show car crafted by and unveiled at the 1970 Geneva Motor Show. It was based on a Can Am racing chassis and fitted with a 5.0-liter V12 engine good for 550 horsepower. That was a heck of a lot of power at the time, when the 365 GT4 Berlinetta Boxer offered “only” 380 hp. But what made the Modulo unique was its bodywork. cloaked it in futuristic bodywork that made it look more like a UFO, with a glass canopy instead of doors. Fast forward to 2014 when . 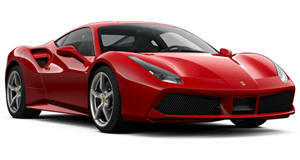 The former film producer and financial investor is known for his penchant for Ferraris. He's collected some of Maranello's finest sports prototypes, and commissioned the in the same style, based on an Enzo. That's lead to a series of racing supercars of his own. Bringing the Modulo up to working condition has been his latest undertaking. On Friday he posted a video of the concept driving for the first time, with the canopy roof missing to expose the low-slung cockpit. It was a momentous occasion, to be sure, but you'll have to head on over to the to watch it. For our part, we're looking forward to seeing it with its full bodywork in place, gliding down the road like some space ship from a distant planet... or another time.